Online ordering menu for Kildare's Irish Pub. 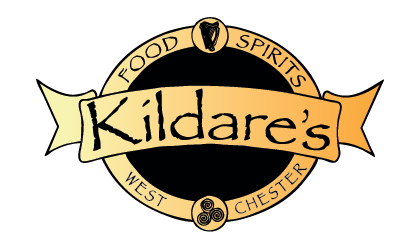 Some of the entrees we include here at Kildare's Irish Pub includes Grilled Salmon, Beef Stroganoff, Irish Breakfast, Bangers & Mash, and Chicken Parmesan. We also serve soups, salads, and burgers! We're located north of West Chester University at the corner of Gay Street and High Street. We're not far from West Chester Public Library and John O. Green Memorial Park. Order online for carryout or delivery!